I created a 12x12 layout using the RD inspirational quotes. I used the Nautical frame and created my mini decorated collage. Click! Fiddle! Tweak! Voila … ! easy, easy, I will surely do more printouts this weekend. amazing projects from my fellow DT members. basically all the W's were just coming out. to fill in my summer memories this year. Have you seen already the stickers? Of course, there were more other wonderful patterned papers ... but will save it for the next project! Back portions of the postcards are for photos and journals ... or anything on summer souvenirs. Remember, I tried to make this project as simple as possible ... but of course, I just cannot resist going a little bit ...on getting my newly polished nails dirty. Yes! ... just one of my faves and a must have morning and afternoon! ... then in between ... just a nice espresso! check out the latest updates at Paper Lane Blog site and projects from my fellow DT members. oh my gosh, I just don't know where to start! I simply want to use all of them … all at once … and create a huge Collage. uhmmm, I gotta hold on to that huge project in my head then … one day, maybe. Well, I received beautiful invitations … for weddings, shower parties, afternoon teas etc. I collect them and make an album about the event … At the moment, I still have several pending albums that are crying for … finish me up! I am trying to and each time I have extra time, I would sneak in and open the box … and tinker on the designs and photos. favor bags for my afternoon tea party. I am so loving the Spring Circus Kit … so I am mega inspired to use the Spring Circus Printable Card Set for the invitation. I cut the frame and mixed a gel paste and acrylic paint then applied it to the frame … this is to give a little lift. Then I cut the banner and attached it … just to create a 3D effect. Oh yes … I love dimensions in my projects … a bit tedious but love the finish product. Aren't you lovin' the Spring Circus Kit? Using the Spring Circus Printable Card Set, I just added the details about the party, and also the amazing Spring Circus Brushes and Borders … must have! Have you also check out the Rhonna Design Fonts? I added details using the Insta Love Kit, Insta Pattern Kit, Insta Numbers Kit and of course, with the Simple Photo Edges Kits for the photos. Are you having fun with the new Insta Kits? … just a sample using the Insta Lovin Frames Kit, Spring Circus Borders – after the party, I can use few of the photos and do collage, a bit of journaling. Not to forget, Love Yourself Mini Seals Brush … just to put an ommpphhh and glitzyglam. … and the back album is just ready to rock with personalize collage. to add elegance to your amazing projects! 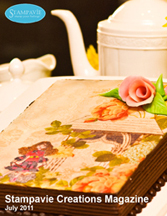 I am so looking forward to explore all the yummy Webster's Pages products for my upcoming workshops. of course, I always love the "Twist" game of it – fun and interesting. .Cheerylynn Japanese Lace and Flourish Frame.